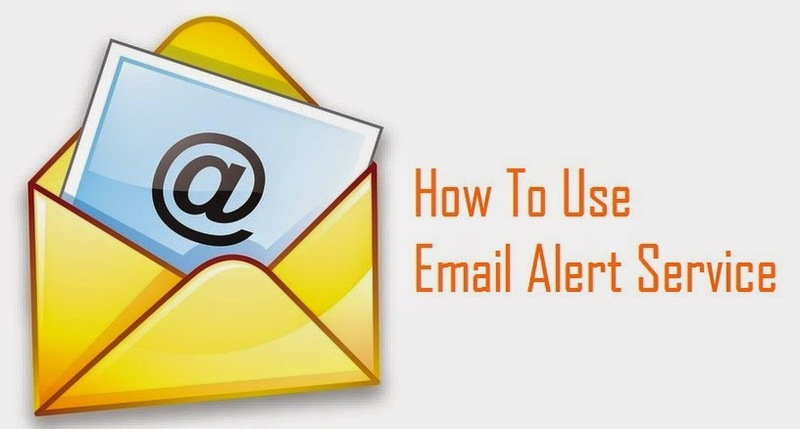 How To Use Email Alert Service? Most of us are using Google Alerts to keep track on the happening things around the world. But do you know a lot of other interesting and useful email alert services are there, which are also used. Email alerts are very useful when you want to get an update for a particular news. Say if you want to get updates for "FIFA matches", it will provide you multiple results for your reference. You can select your specific result from the list. Google Alerts : Mostly used email service among all. As it is Google powered alert system, it has all the queries on various topics and search strings to keep track on latest news and update. Easy to set and use. Mention :Google Alerts track mentions on websites but the Mention service monitors the social media websites and commenting platforms. it only works on the content that has been published in the past 24 hours. Follow-up Gmail : We all have the “starred” folder in our Gmail, which is a collection center of email messages that require follow-up. It uses a Google Script that sends a daily digest of 10 random messages, picked from your starred items, that may require follow-up. Follow your World : Another Google service that allows you to track satellite images of various locations within Google Maps and Google Earth. You can get an email alert each time Google releases new and updated aerial imagery for the various locations that you are tracking. This service is limited to Google products only. Domain Tools : It allows you to monitor web domains and alerts you via email when any of the monitored domains are nearing expiration. If the domains are renewed or there are some crucial changes in the Whois records of the domain it sends you the alerts. You can explore more tools to know everything about websites. Book Alerts : Amazon has also a useful alert tools to track the release of upcoming books by your favorite authors or publications. Newsle :This service tracks news websites and alerts you when any of your friends or people in your social network appear in news stories. It analyzes your LinkedIn and Facebook accounts to determine your friends and acquaintances. Brook : Brooks sends you a daily email alerts of the five best tweets from your favorite tweeters so you can't miss them from the never-ending twitter stream. Visual Ping – You can mark visually an area on any web page. This service then sends an email alert when the web page is modified. Talkwalker – If your name, your brand or your website gets mentioned in news stories, websites and forums, you can get alert with the help of this service. It works in a similar fashion to Google Alerts.